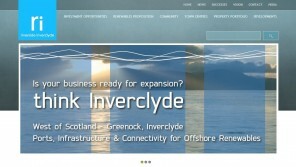 Ensite provide computer and internet sevices to the Greenock and Inverclyde areas. As an Inverclyde company, you may be bewildered by the complexity and huge range of choices of IT & computer equipment available. You obviously want the best advice, and after sales support to maximise any investment made. To the ensite team, designing a website is more than just an exercise in graphic and technical excellence, it is a project to delight each customer with our product, service and cost.